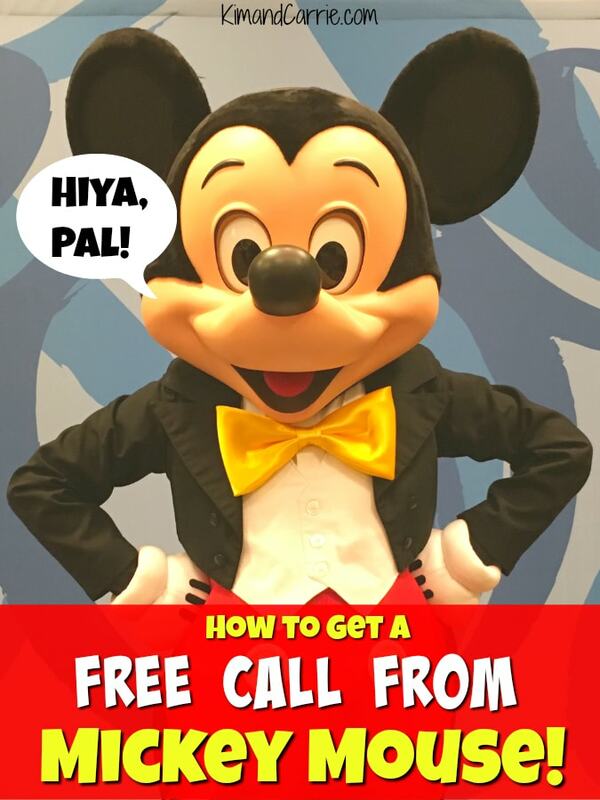 Get a free call from Mickey Mouse (and other Disney characters)! Is there anything more magical then getting a phone call from Mickey Mouse or other Disney characters? Your kids will love hearing Mickey Mouse or Minnie Mouse on the phone! And kids at heart enjoy it, too! Your kids will think they are special when they have a video “phone call” with Disney characters. It’s like doing Face Time with your favorite Disney characters! Don’t worry. You don’t have to actually use your phone or be seen on a screen for FaceTime. This video phone call is done on the computer and shows an animated greeting from the Disney characters. If you are staying at a Walt Disney World Resort hotel, you can arrange a phone call from a Disney character. In your hotel room, press the Front Desk button on your in-room phone to arrange the call. Sail away with magical wishes from a Disney character when you sail on the Disney Cruise Line! Under your My Reservations tab in the My Disney Cruise website, select the Request Call feature beside the Free Character Call header. You’ll be able to choose from Disney characters. Plus, you can choose the date and time to get the call. Keep in mind, you can only receive two calls per reservation. In the United Kingdom, buying a Disney party product allows you to receive a free Birthday call from Mickey Mouse or Minnie Mouse. You’ll be able to choose the date and schedule the time for the call from Mickey or Minnie Mouse. *Please note, this offer has expired. If you want to get a phone call from a Disney character, it’s as easy as dialing the toll free number below. ShopDisney is having a special promotion where a Disney character will say a special bedtime message to your child before they go to sleep. The free call from Mickey Mouse or other Disney characters is only available through August 31, 2018. There is a limit of one Disney character message per phone call. So we think it would be great to call several times to talk to all of the Disney characters!